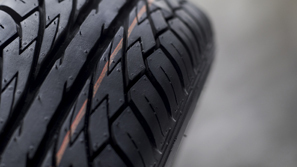 Defective tires have caused countless severe injuries and even death on our nation’s roads. Tread separation can cause tire blowouts, loss of control of the vehicle, collision with another vehicle, or rollover – among other disasters. The cause of tread separation can either be traced to a manufacturing defect or poor design. Victims of defective tire accidents can recover for their medical expenses, repair costs, pain and suffering, and other damages. Claims can be brought against both the manufacturers of defective tires and the retail outlet where the tires were purchased. Attorney Frank L. Branson is a recognized leader in lawsuits related to defective tires and the use of cutting-edge video and multi-media technology to build demonstrative evidence that resonates with juries. This allows jurors to see and hear exactly what happened in a defective tires case. The Law Offices of Frank L. Branson has won fair compensation for the victims of defective tires in Texas and elsewhere. To learn more about our experience in defective tire related matters, we invite you to contact the firm here.